short girl, long island. : Teach Me Something Thursday, Volume Nineteen. The nineteenth installment of TMST comes from Allie, over at Little Mouse's House. 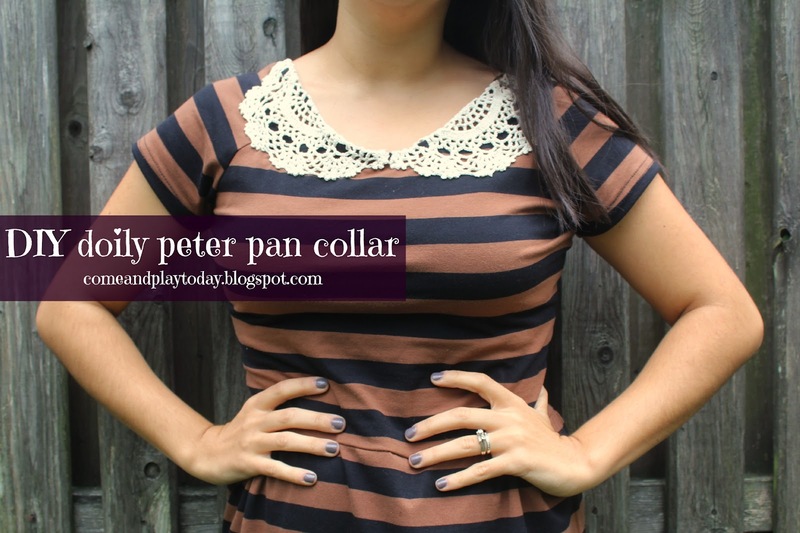 She teaches us how to transform an outfit two ways: a peter pan collar, + a lace collar/pocket. I've had a few pieces in my (and Norah's) closet that I've been trying to find the perfect sprucing-up project for. I liked this dress before, but i LOVE it with it's new doily peter pan collar! 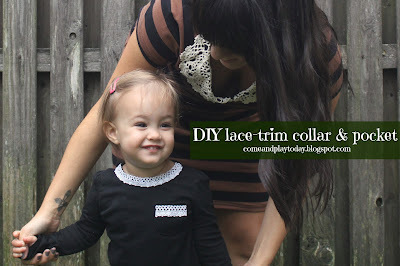 One of Norah's plain black t-shirts got a matching lacy collar as well. 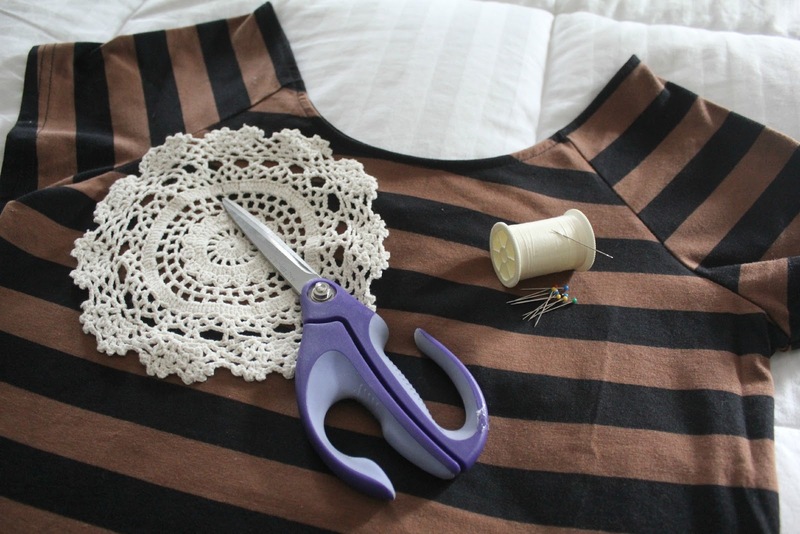 This is a super easy and cheap way to make old clothes new! 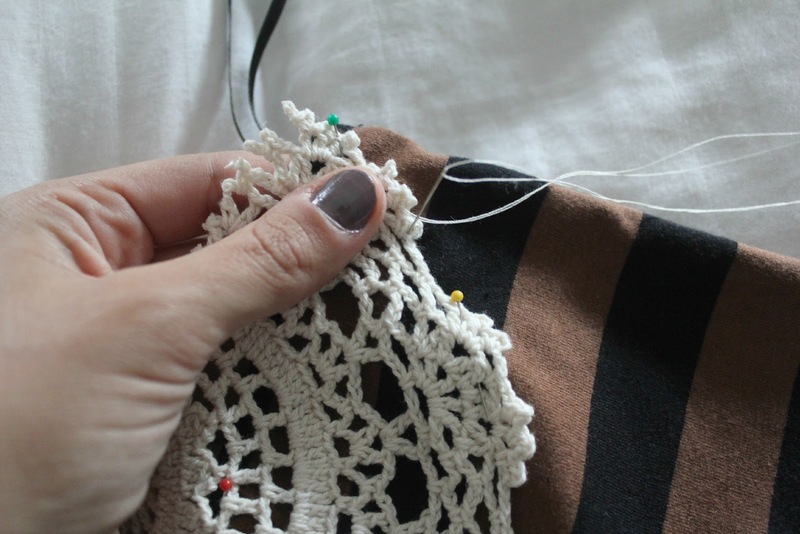 If using a doily, first cut it directly in half. Then, using straight pins, pin the doily or lace onto the collar as you please. 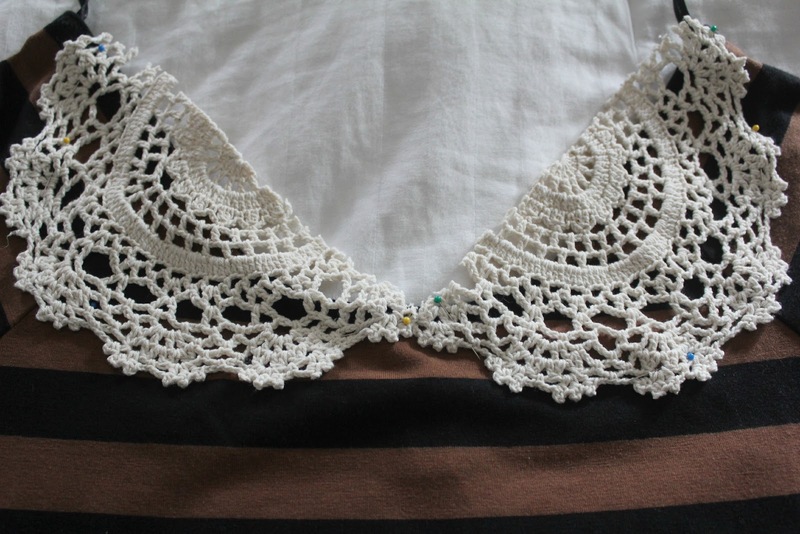 I also added some lace detail onto the pocket of Norah's shirt. Sew around the edges of the doily or lace. 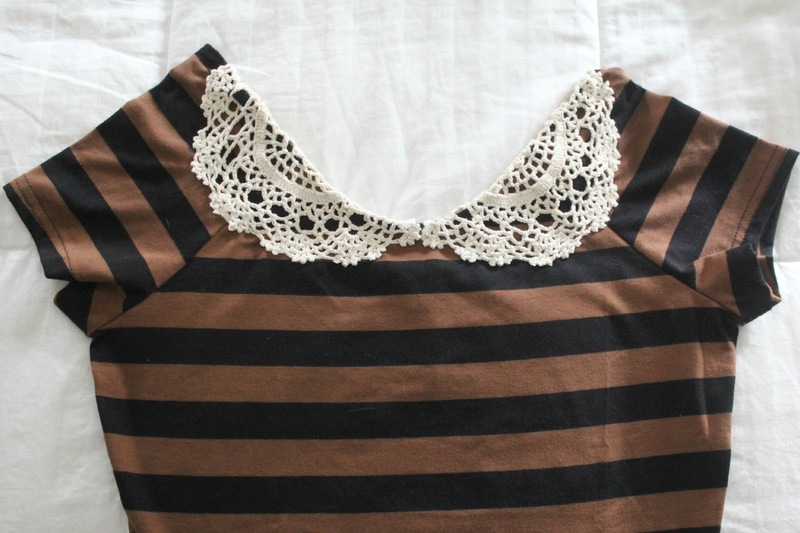 After I stitched the curved part of the doily, I folded over the flat edge to the underside of the dress and then stitch through both layers. Make sure you trim any stray threads or extra pieces! And Finished! 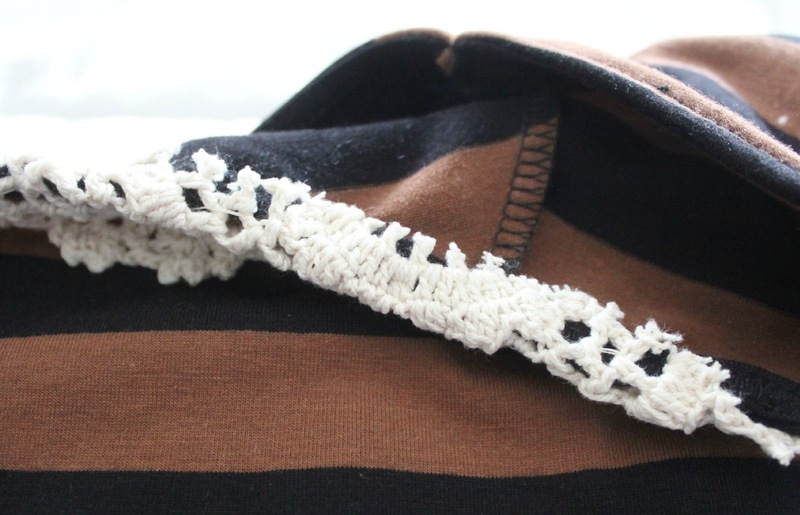 Now enjoy your new-to-you item of clothing! Make sure to head over to Little Mouse's House for more fun projects [many are kid-friendly]. If you would like to contribute to Teach Me Something Thursday, please contact me. I take holiday submissions year-round + am currently booking for Spring 2013.